Once you're convinced you should hunt deer on work days, there's an obvious question that follows: How many vacation days do you have left this year? This article is not exactly an endorsement of blowing off work to hunt deer on weekdays as much as it’s about the correlation between hunting pressure and weekday hunting. The “blowing off work” part of the equation is between you and your boss. But when it comes to Monday through Friday, there’s research that suggest weekday hunts give a deer hunter a better chance of seeing a deer over hunting on the weekends. And it also endorses certain weekdays — Thursday and Friday — over days earlier in the week. These findings were based on GPS-collared deer Wiskirchen had monitored. Of course, the deer don’t keep a calendar and don’t consider Thursday and Friday their days for increased activities, running errands or taking a road trip but, instead, the deer are responding to hunting pressure. 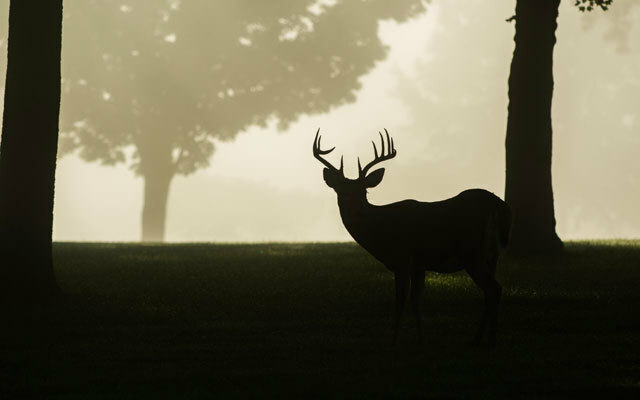 The study showed that, once hunters began arriving on Friday and entering the deer woods, deer activity dropped rapidly and continued it’s downward trend through Saturday and Sunday. So, in conclusion, this critical question remains: How many vacation days do you have left between now and January 1? The more you read about what wildlife biologists are finding, the more you’ll become convinced that identifying hunting pressure created by deer hunters – when it’s taking place, the degree to which the deer are pressured and so forth — is a critical piece in determining when and how you’ll hunt. The age-old question tends to be, “How much hunting pressure is too much?” To answer that question, go to “Understanding Hunting Pressure and Deer Movement.” The article offers new data on hunting pressure and how it impacts your deer-hunting success. It also measures the pressure by highlighting what bucks avoid most, measures the stealth of young bucks and, thankfully, obliterates any advantage a 15-hour sit might give a dedicated deer hunter who’s guilted into toughing it out.